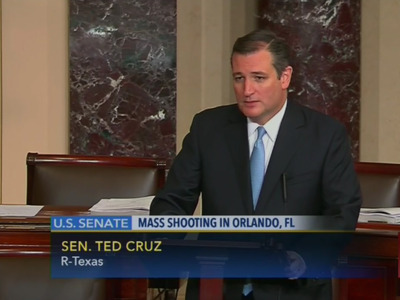 C-SPANTed Cruz speaks on the Senate floor. Sen. Ted Cruz said Thursday that the Obama administration has “over and over again” wilfully ignored “ample information” that could have prevented terror attacks. Speaking on the Senate floor, the Texas senator lambasted Democrats for proposing increased gun controls in the wake of the Orlando shooting and instead said elected officials should be focused on preventing terrorism. “Over and over again, we have seen the Obama administration having ample information to stop a terrorist attack, and yet because of the political correctness, because of the ideology of this administration that won’t even say the word ‘jihad,’ won’t even say the words ‘radical Islamic terrorism,’ they look the other way and the attacks go forward,” Cruz said. He argued that the Obama administration had “plugged its head in the sand like an ostrich” and turned a blind eye to information that could have likely prevented the Boston Marathon bombing, the Fort Hood shooting, and the San Bernardino attack. “We had all the information we need on Mateen to keep a very close eye on him. And yet if that’s not what you’re fighting, then you close the investigation and yet another attack goes forward,” he said. 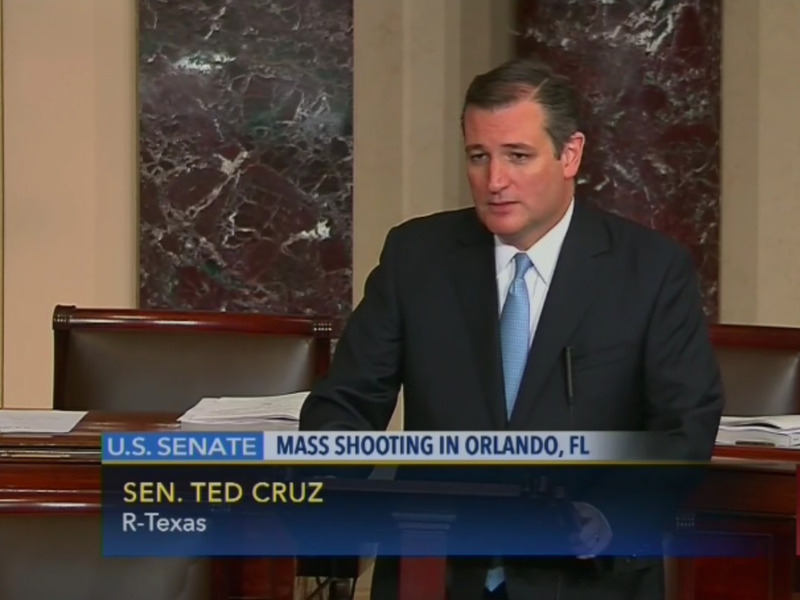 Cruz’s remarks came the same day Sen. John McCain said Obama was “directly responsible” for the Orlando attack, a comment the Arizona lawmaker quickly clarified. Presumptive Republican nominee Donald Trump has peddled similar rhetoric. Most recently, he suggested Obama was sympathetic toward radical groups.